2012: The Year of Reading "Biblically" — Notorious M.L.E. 2012: The Year of Reading "Biblically"
I’ve always wanted to read the whole bible but somehow I never did. It was something like flossing, I knew it would be good for me but applying myself to the task seemed insurmountable. A few years ago I posted “Read the whole bible” on my blog’s life list. Like clockwork my mother produced a “Read it in a Year-Version Bible” from Costco. I said thank you feeling very pleased that someone in my family was reading my blog and then it sat on my bookshelf for another few years. I just could NOT muster the desire/energy etc. So what produced the change of heart? A fellow blogger and AJ Jacobs’ book the “Year of Living Biblically”. AJ’s hilarious journey of following the bible literally for a year inspired me to finally dig in while Rachel Held Evans year-long series on “Loving the Bible for what it is not what we want it to be” challenged me. How I could make any decisions about the bible without reading it? I wanted to join in the conversation from an informed perspective so I did it. I actually did it! I sat down every morning of 2012 and read my “Read the Bible in a Year-NIV Bible that my Mom bought for me at Costco”. Even now that I am done I cannot believe that I did it! Did I mention that I DID IT! And... it was great. It was ordinary and extraordinary all at once. The bible is a challenging book. I found it to be strange, beautiful, violent, insanely detailed and confusing. Some mornings I was moved to tears and others I was falling asleep but almost every day in 2012 I spent some time with my lime green bible with the big 365 on the cover. I read every single one of the Psalms out loud because they were the perfect prayers for a distressing year that oftentimes left me speechless. I got in there with what I believe to be the divinely inspired word of God and it was fascinating and much more than I expected it to be. Much more weird. Much more violent. Much more gracious and much more confusing. 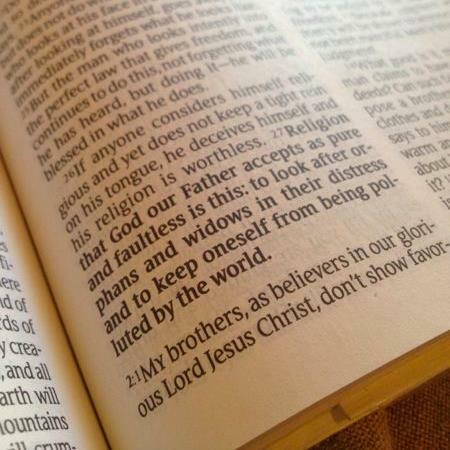 The bible is not simple, but it is full of grace and 2012 was a better year for having read it. Posted on November 3, 2013 by La Emily and filed under Mighty List.